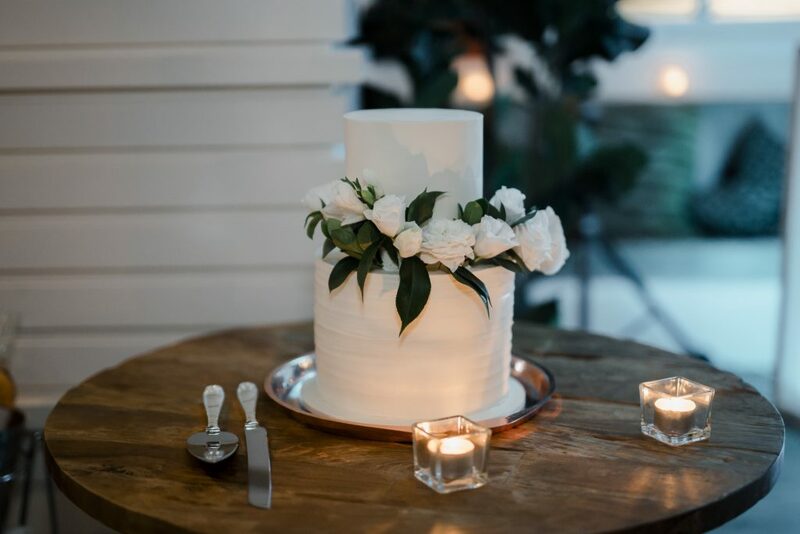 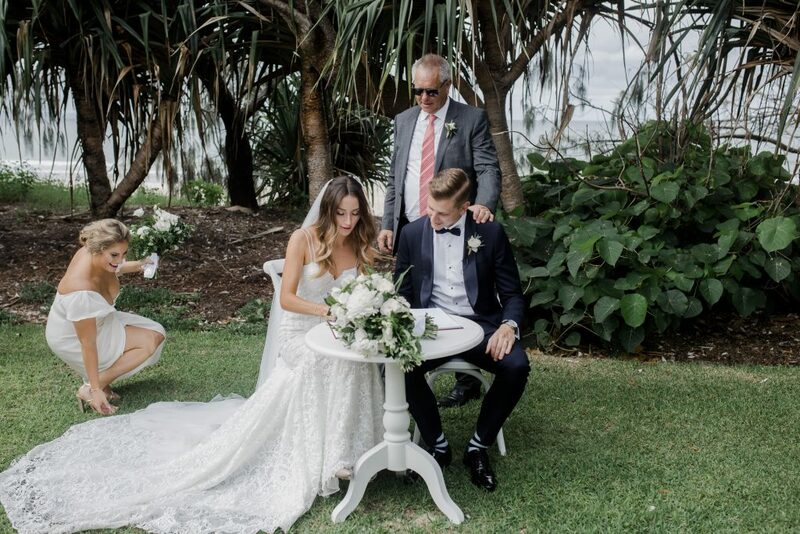 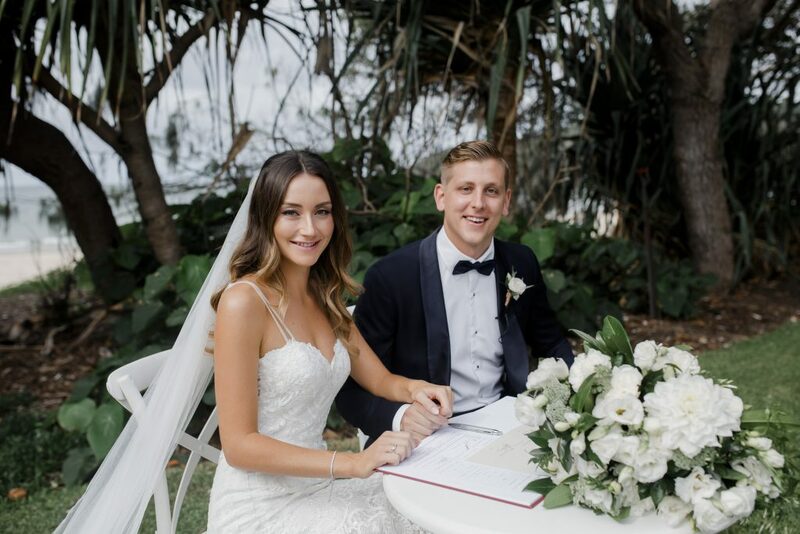 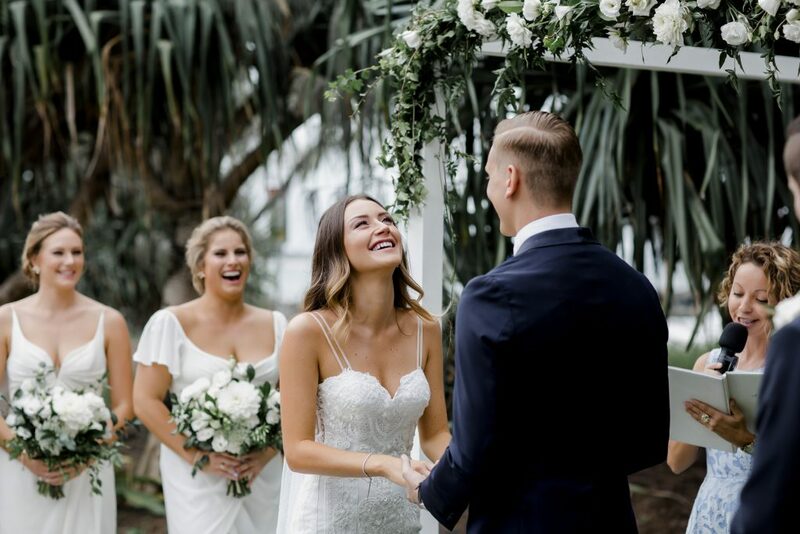 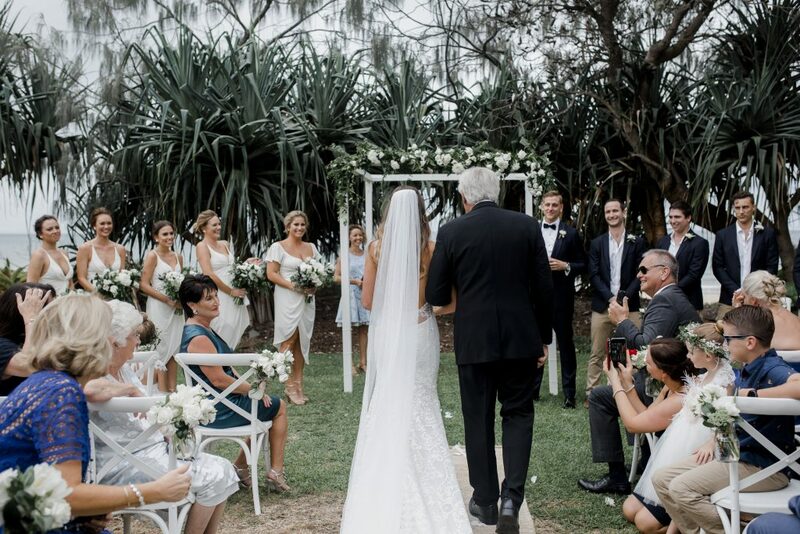 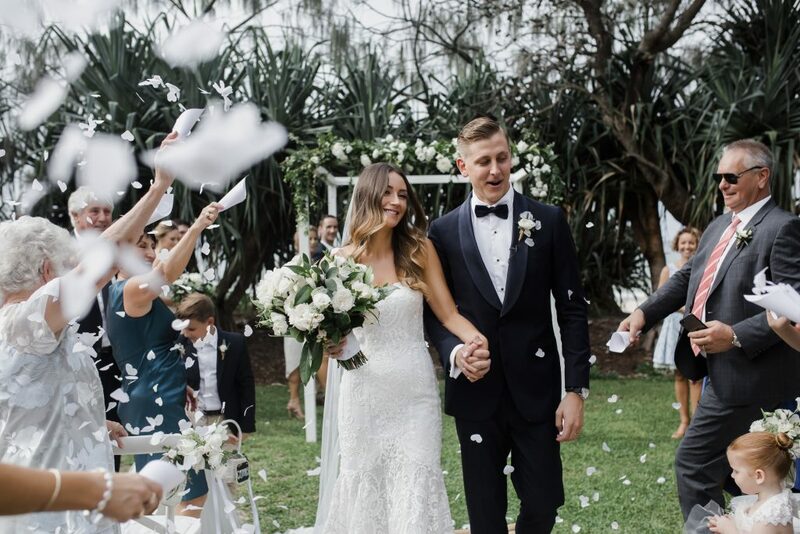 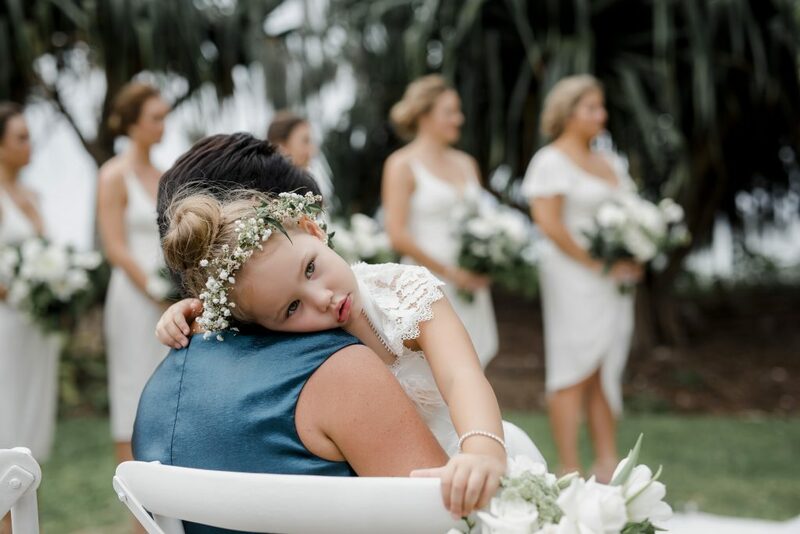 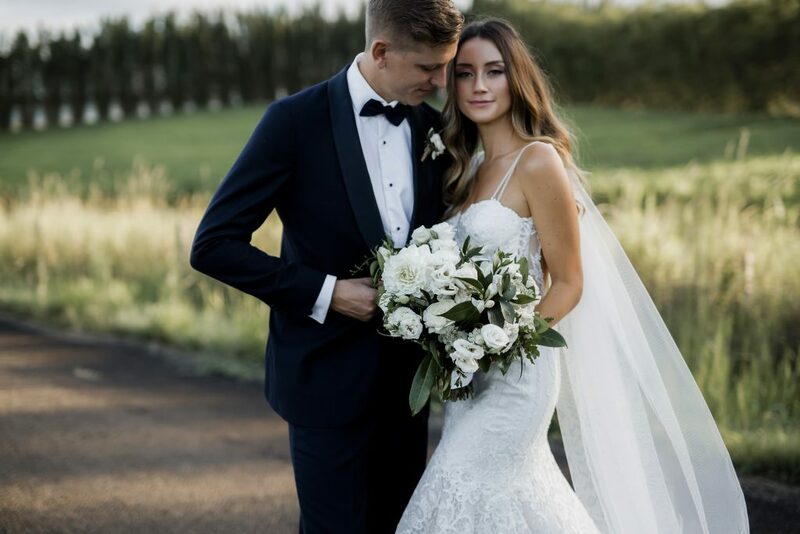 How we adored being a part of Jade and Ben’s stunning Noosa beachside wedding celebrations. 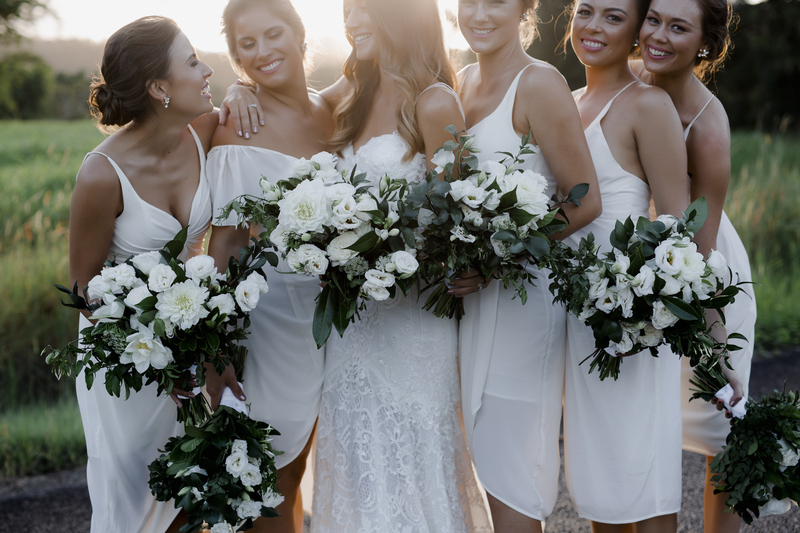 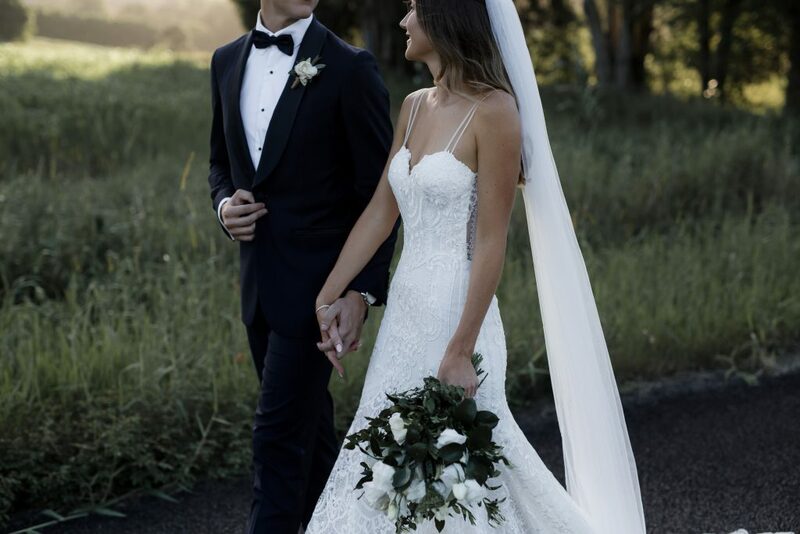 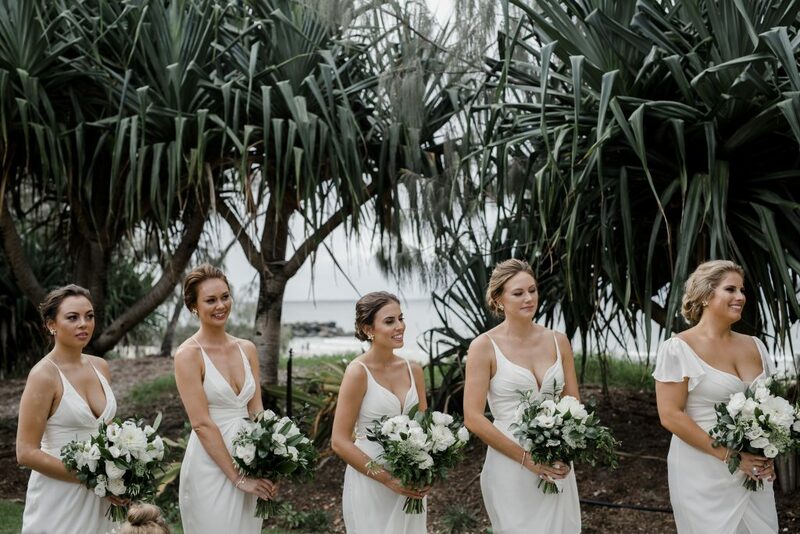 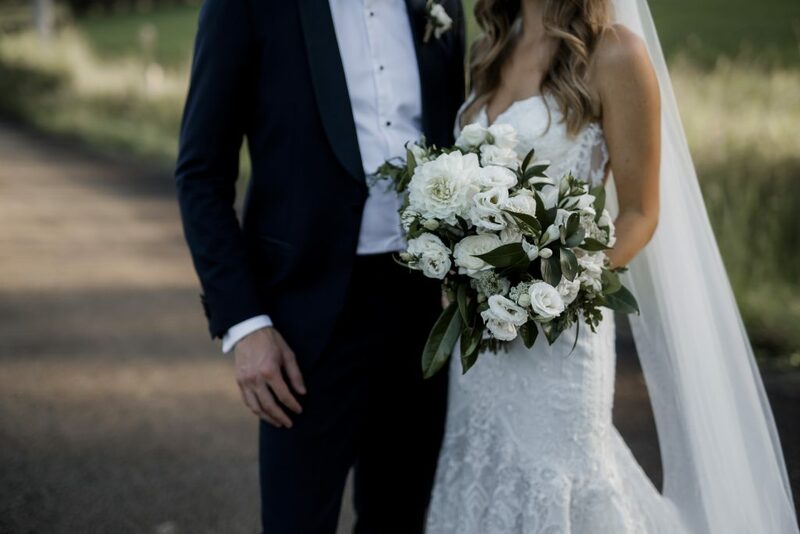 We loved creating the divine white on white coastal wedding flowers concept, that was oh so chic….and just perfect for a Noosa celebration. 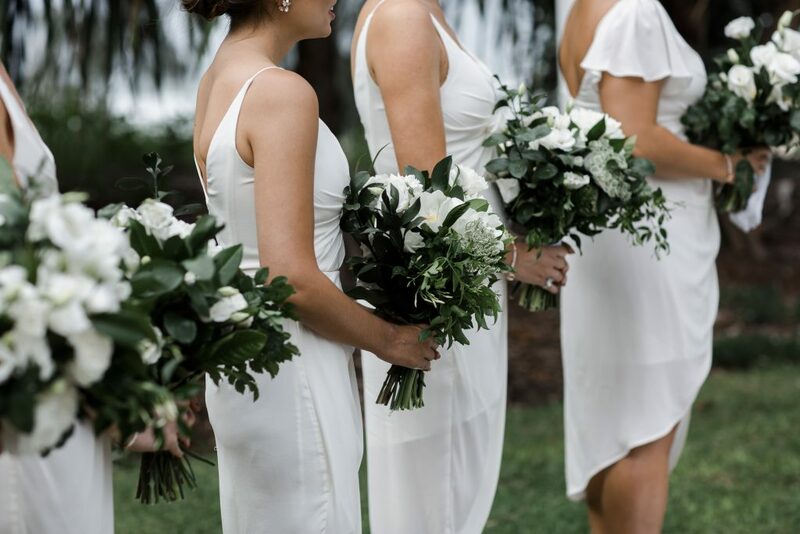 The bridal bouquet blooms featured dahlias, David Austin roses, lisianthus and cottage roses with dark green coastal inspired foliage. 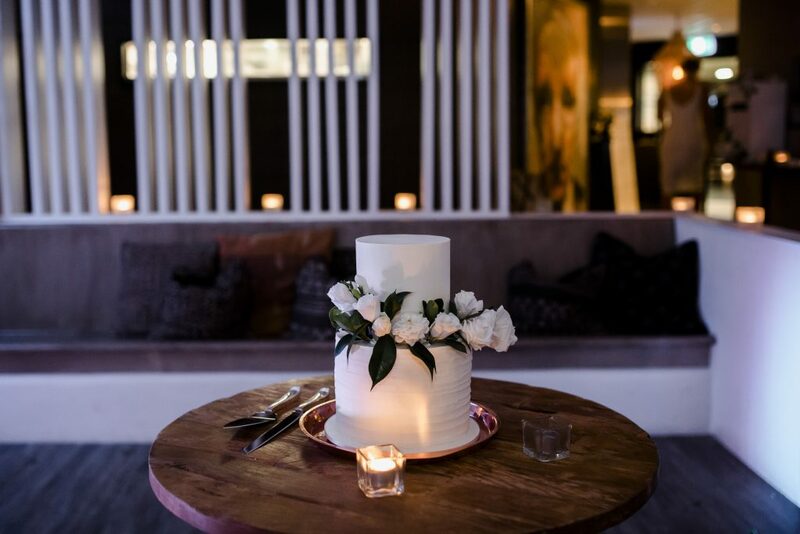 Providing the modern edge to the stunning white bloom concept. 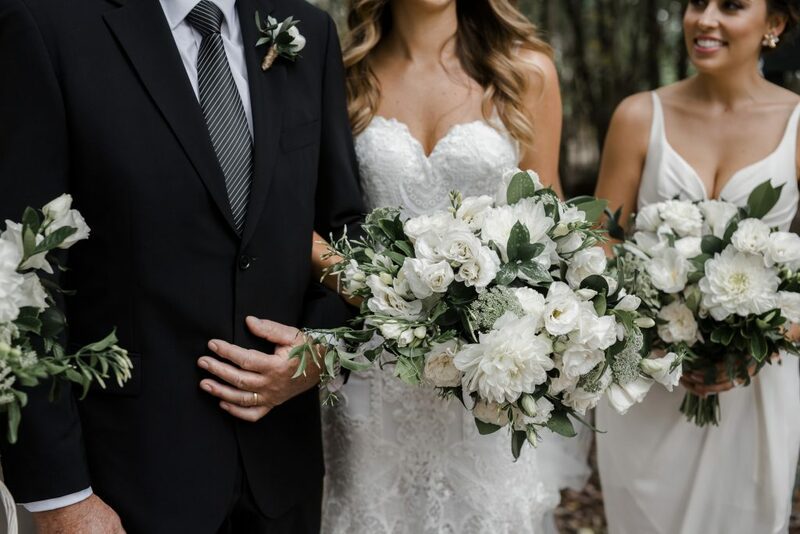 With slight textural accents the luxurious white flowers partnered beautifully with the pretty petals. 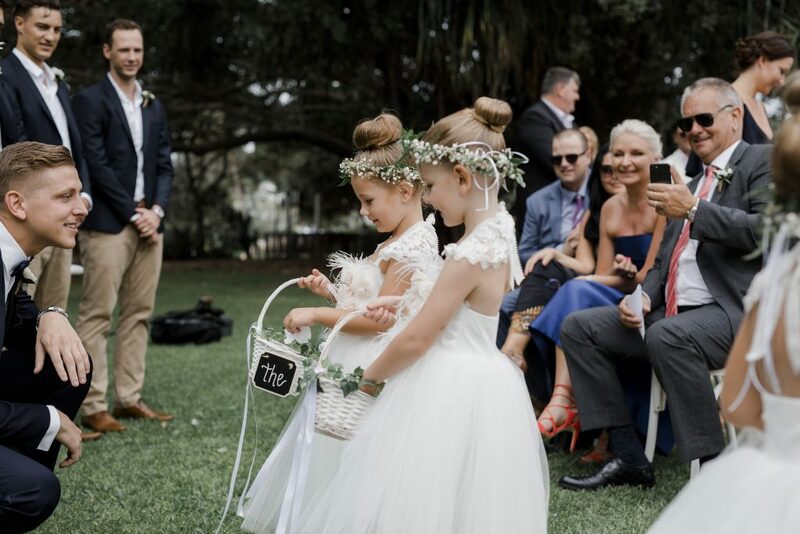 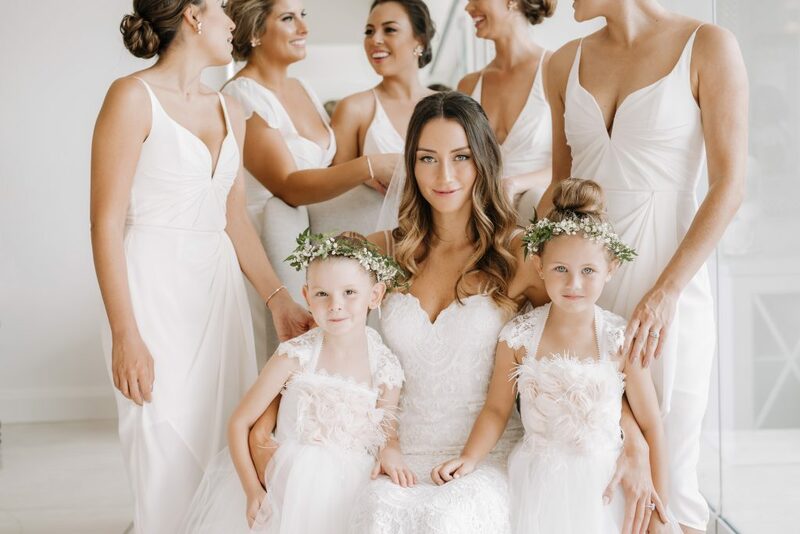 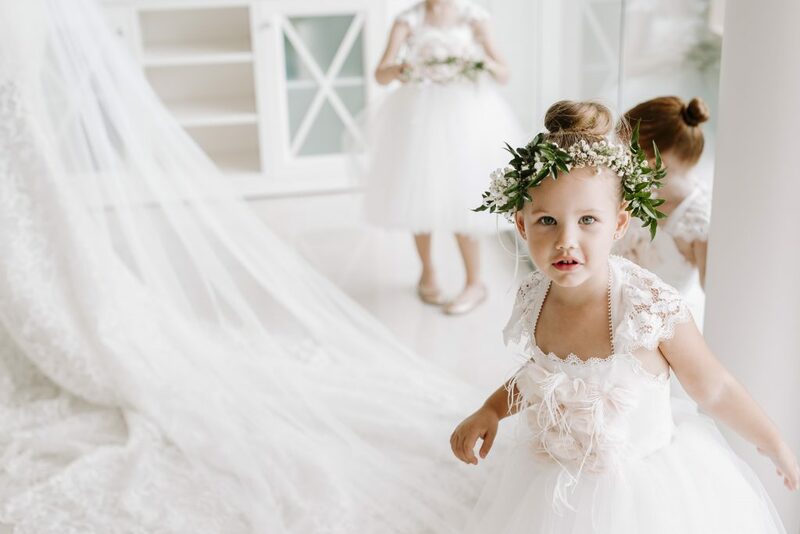 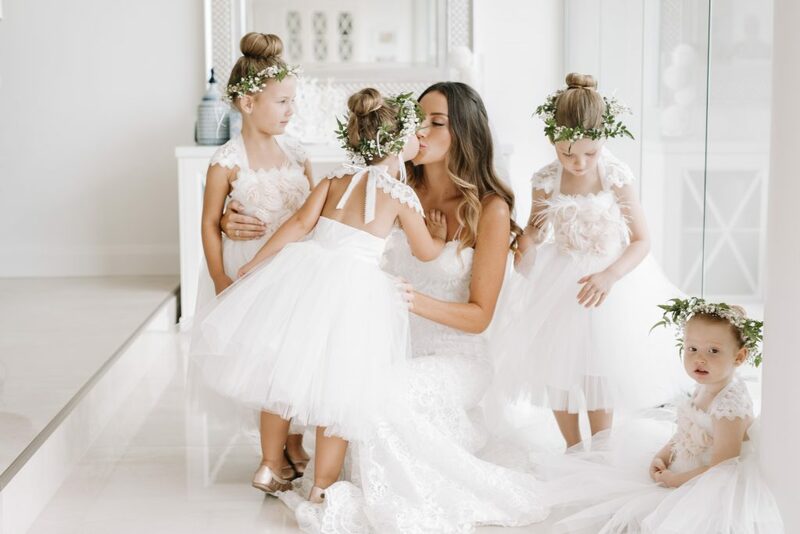 The sweet little flower girls wore cute halos of baby’s breath and jasmine foliage. 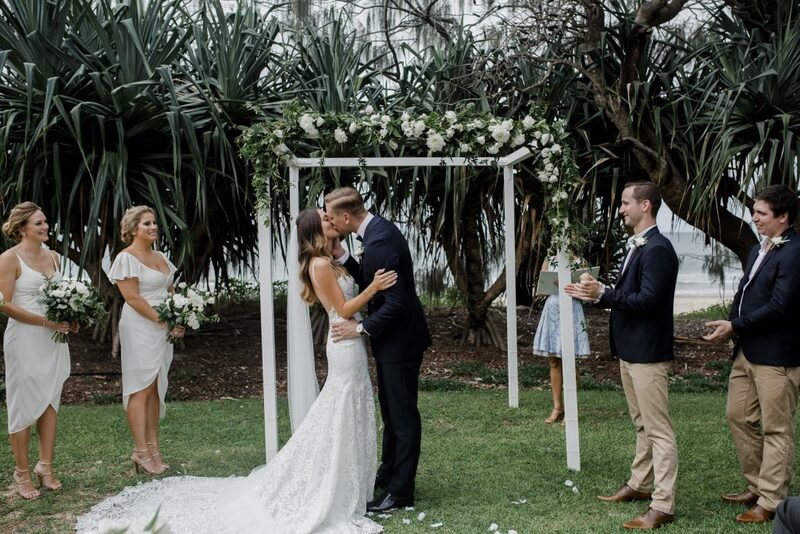 What a wedding party, goodness me! 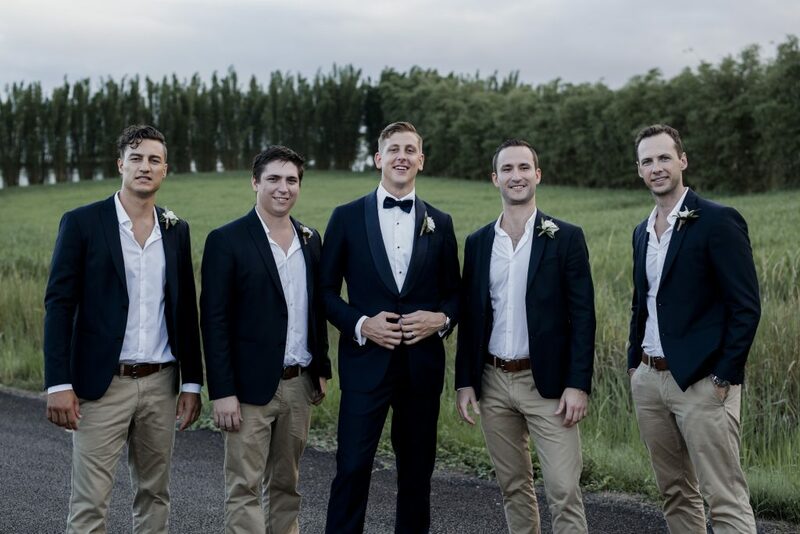 Simple white David Austin roses collaborated with a hint of foliage for the boys buttonholes. 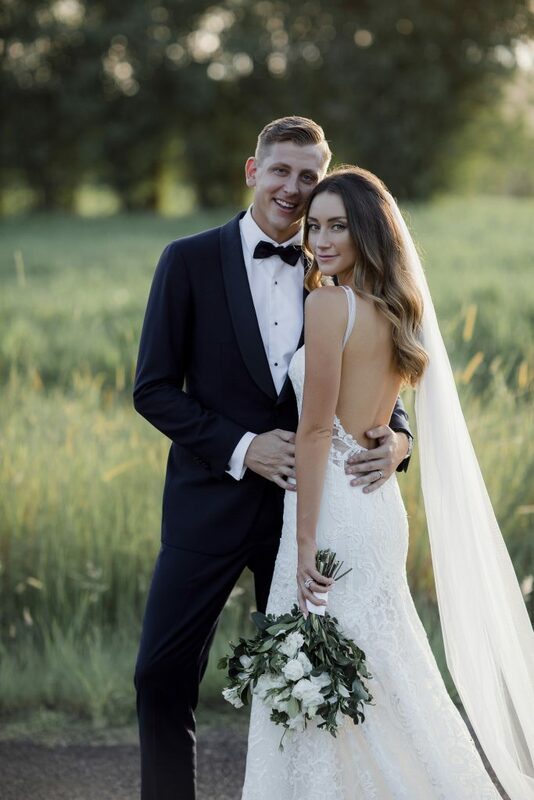 How handsome does Ben look in his tux! 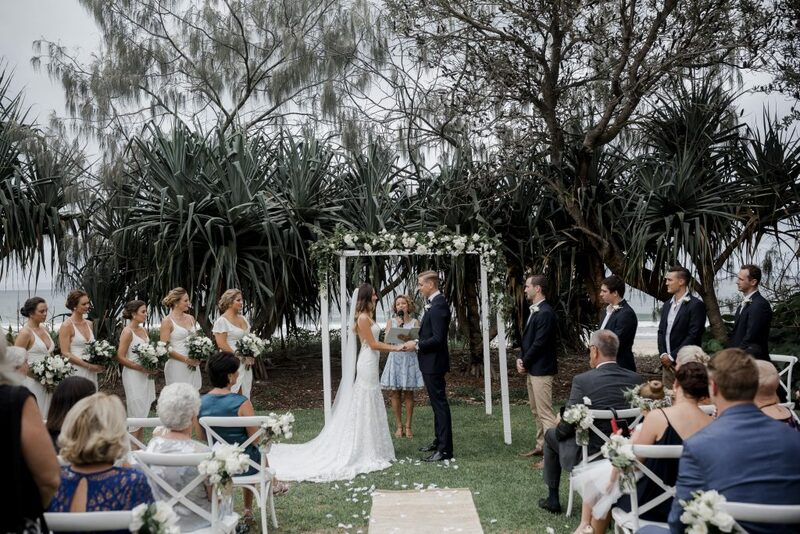 Ceremony floral styling was elegant and chic with our canopy flowers adorning the timber arbor perfectly. 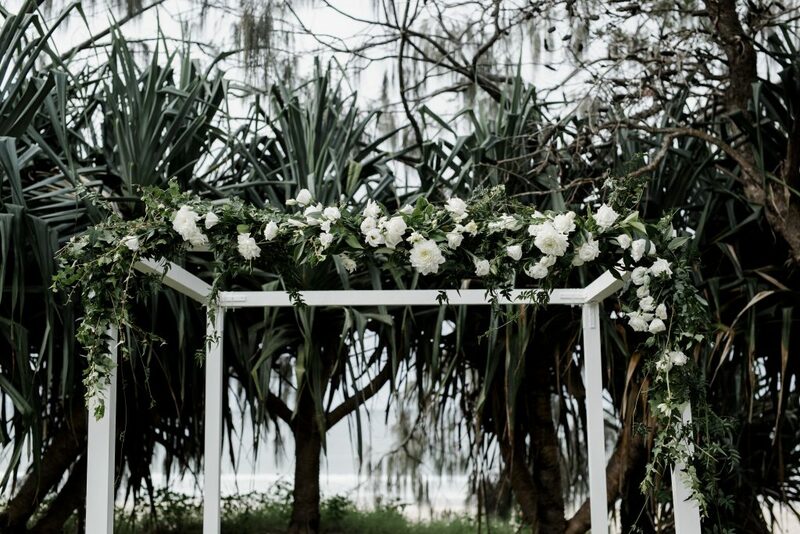 A welcome sign with touches of white blooms and foliage accents positioned at ceremony directed guests to the beach-side ceremony space. 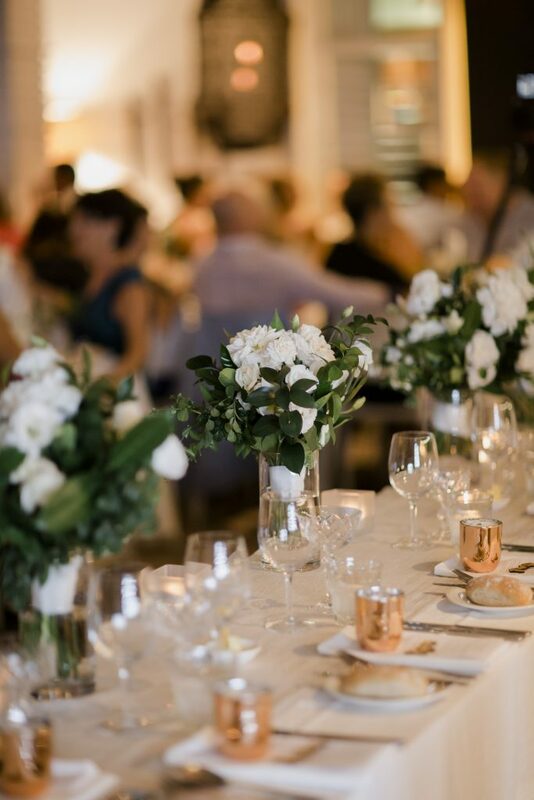 Reception at beautiful Bistro C Restaurant – a fusion of white coastal blooms and our collection of rose gold bottles and glass vases. 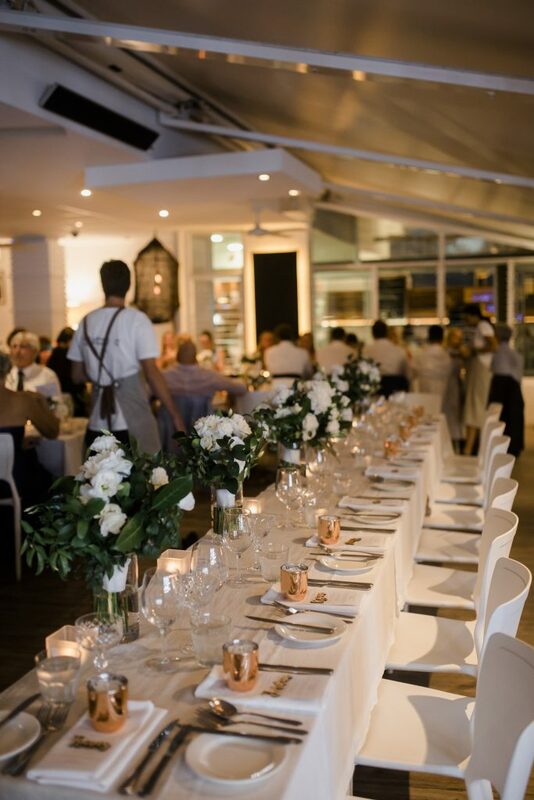 It was contemporary and sleek and worked beautifully with the eclectic modern decor and styling already in place in the modern restaurant space. 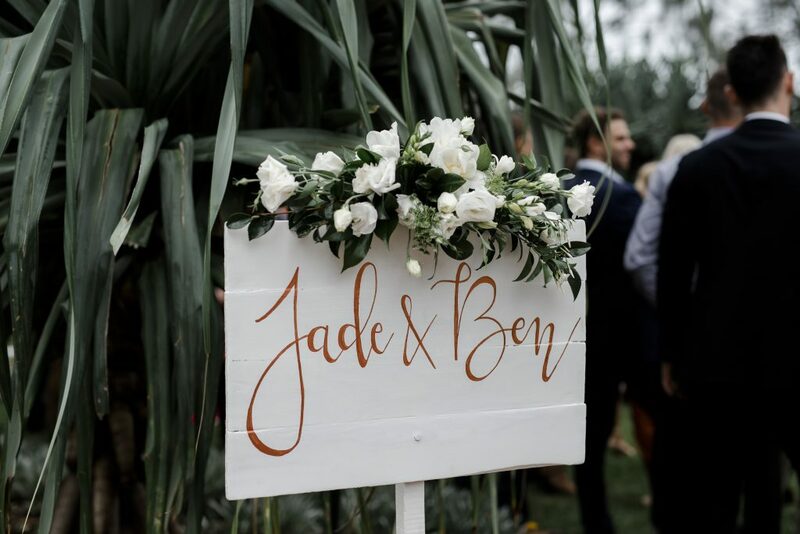 We loved the selection of wedding flowers we featured in Jade and Ben’s concept, it really shouted ‘Modern Coastal’ they were such a fun couple to work with, I loved my meetings with beautiful Jade and her girls.